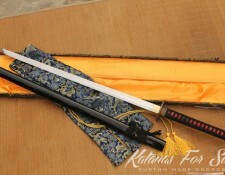 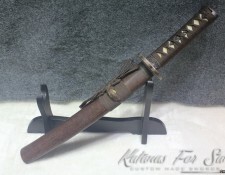 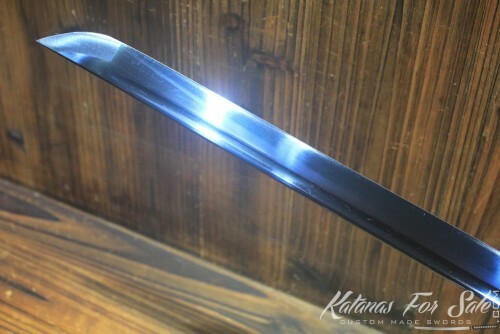 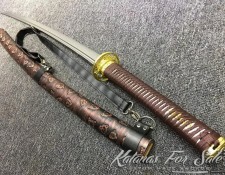 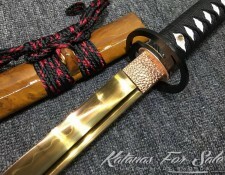 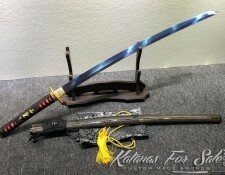 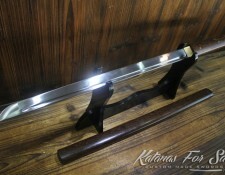 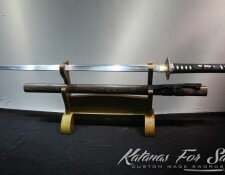 Categories: 1060 High Carbon Steel, Ninjato For Sale, Shirasaya For Sale. 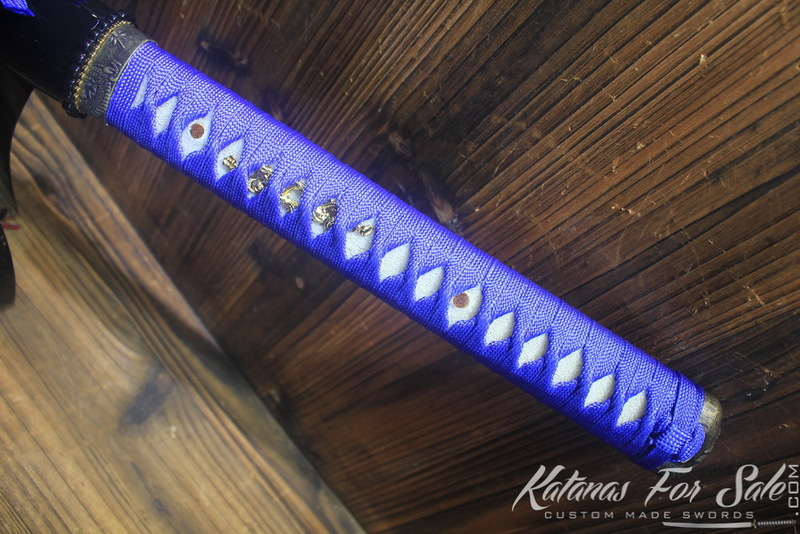 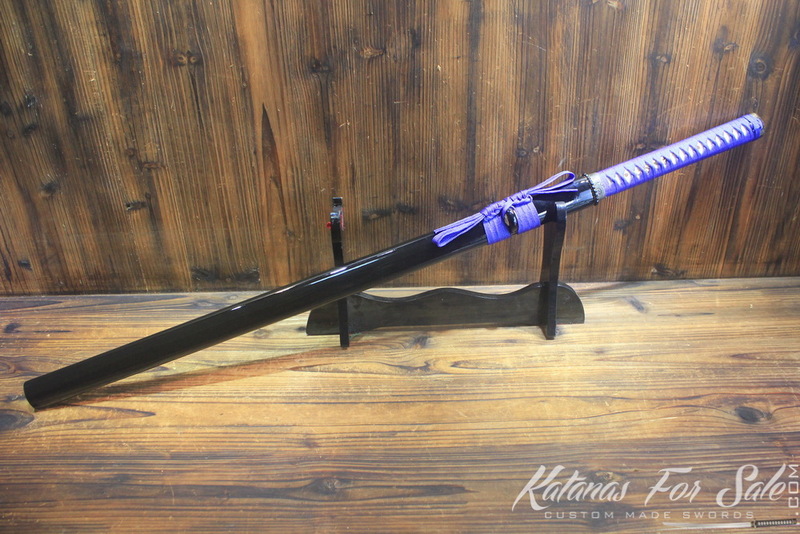 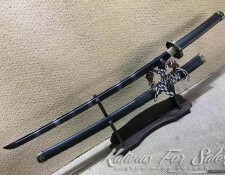 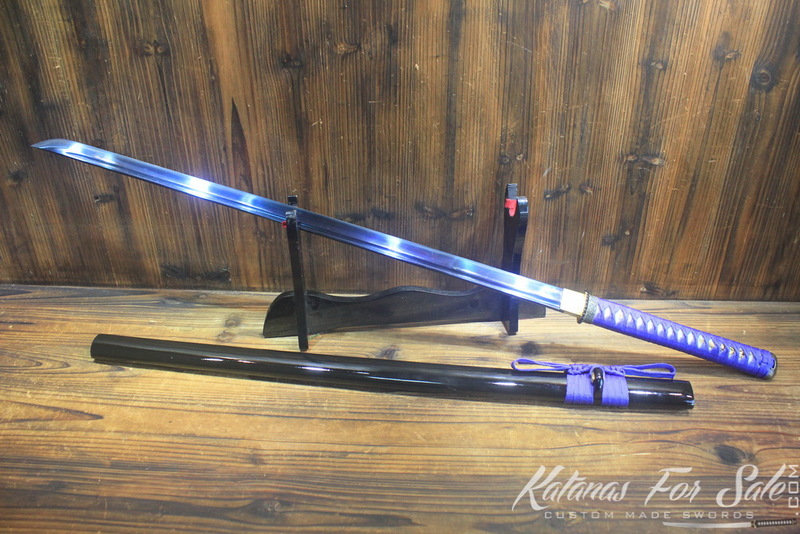 You are looking at a fully functional Japanese Ninjato. 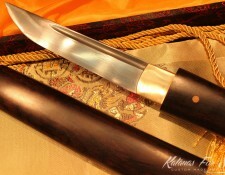 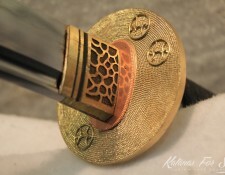 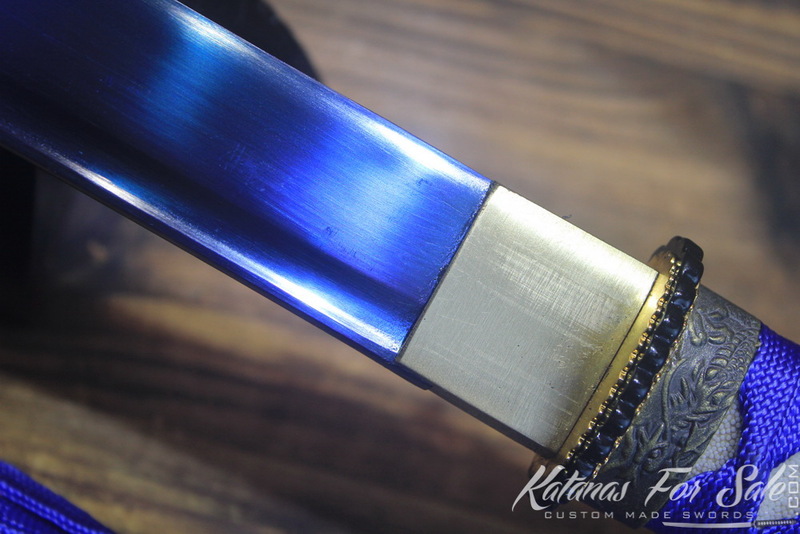 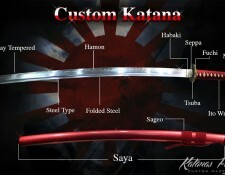 The blade is handmade from 1060 high carbon steel. 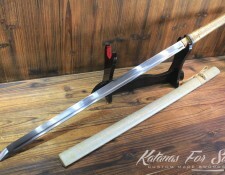 This type of blade has more lateral strength and is easier for Tameshigiri (bamboo/mat cutting) from the weight and the reduced drag. 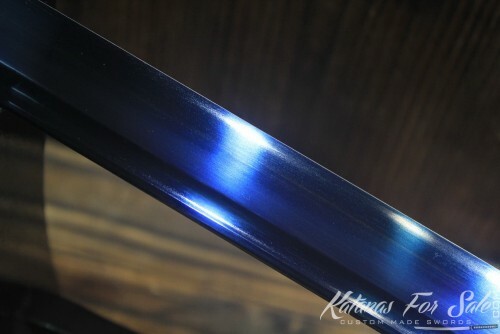 The blade has been treated with blade acid dye which makes the entire blade surface in blade appearance. 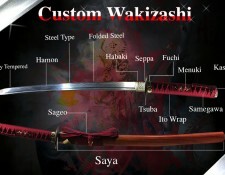 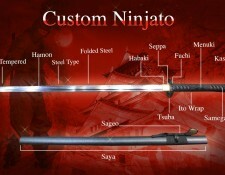 This gives the blade a unique appearance for those who prefer an extraordinary look on their sword. 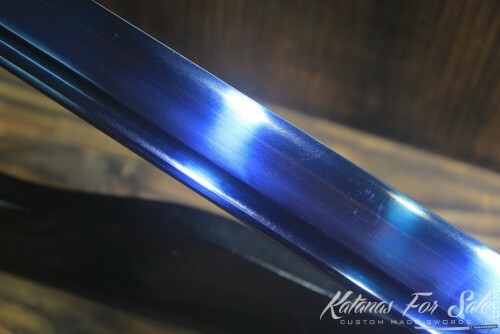 The Blue Acid Dye treatment is a natural color dyeing method. 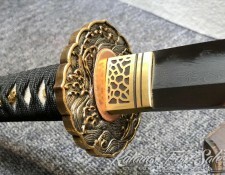 It does not affect the performance of the sword. 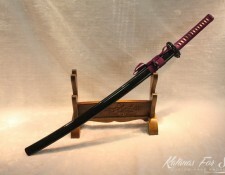 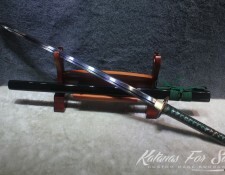 The balance of the blade is perfect and the sword is completely functional and very sharp. 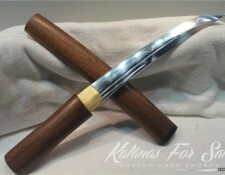 It can be used for drills, practice and test cutting. 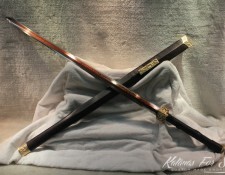 The black lacquered Saya is made of high quality hardwood. 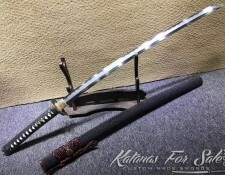 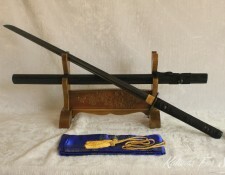 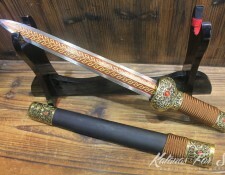 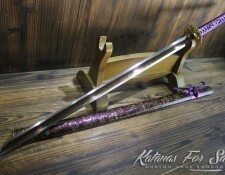 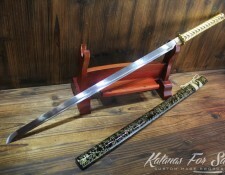 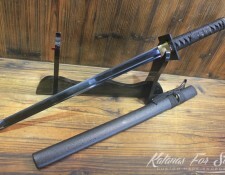 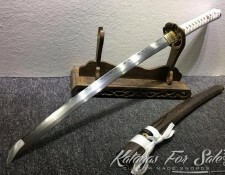 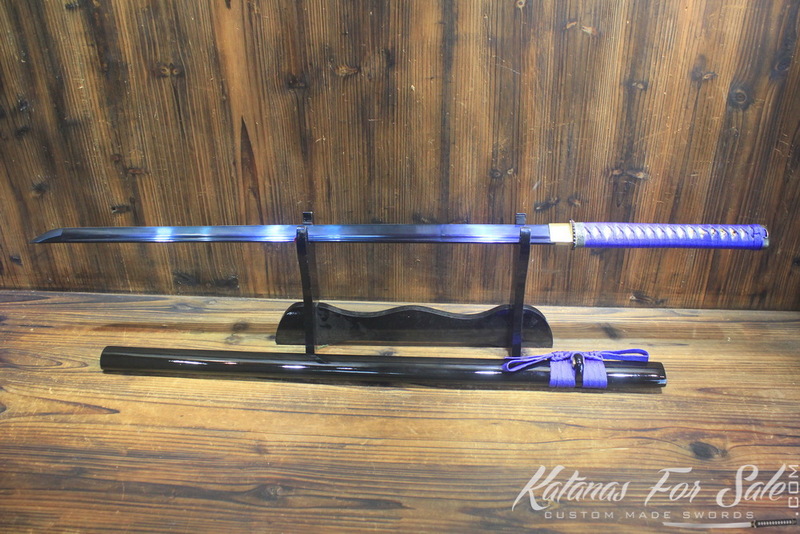 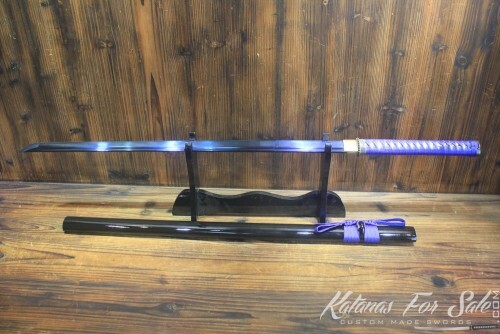 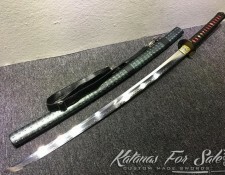 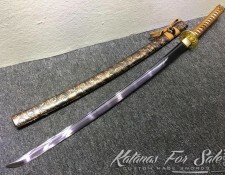 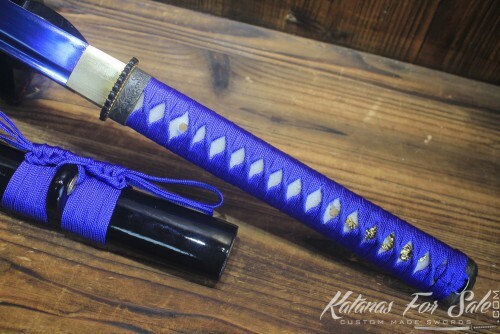 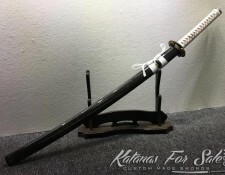 The Japanese This sword is an excellent sword for training (perfectly suitable for Tameshigiri) and it is also a beautiful piece of art work that can used as display at home or office.